At this time, the Trump-Russia collusion narrative is alive only in the minds of those who shirk at evidence and willingly suspend once-held commitments to objectivity. This week, the mainstream media (MSM) and Democrats have proven again to be exactly those people. As Angelo Codevilla wrote for American Greatness, "The high professional quality of Donald Trump and Vladimir Putin’s performance at their Monday press conference in Helsinki contrasts sharply with the obloquy by which the bipartisan U.S. ruling class showcases its willful incompetence." 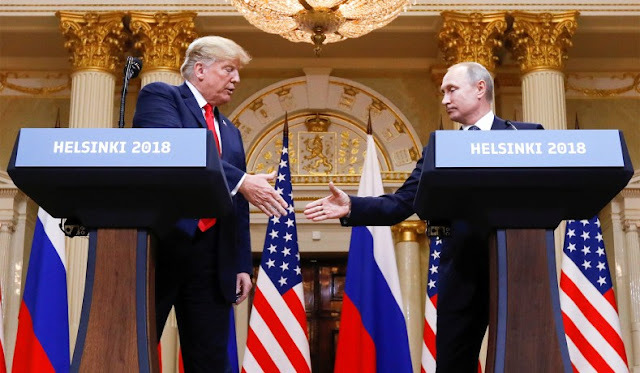 "The American ruling class’s attribution of the 2016 election to Trump-Putin collusion, which has characterized U.S.-Russia relations for two years, provided the press conference’s fireworks. Both denied any such thing and insisted there was no evidence of it. In response to a question about whether Putin would make available the 12 Russian state intelligence employees indicted for interference in that election to Special Counsel Robert Mueller, Putin pointed to the existence of a treaty of cooperation on criminal matters and promised Mueller that access to the accused through the treaty. This led to the final flourish. The Associated Press reporter demanded that Trump state whether he believes the opinions of U.S. intelligence leaders or those of Putin. It would be healthy for America were it to digest Trump’s answer: The truth about the charge that Russia stole the contents of the Democratic National Committee’s computer server is not to be found in the opinions of any persons whatever. The truth can be discovered only by examining the server in question—assuming it has not been tampered with since the alleged event. But, said Trump emphatically, those making the accusations against Russia have refused to let the server be examined by U.S. intelligence or by any independent experts. What is the point of accusations coupled with refusal of access to the facts of the matter?" The real statement being made by the President was completely lost on a group of people who are hell-bent on nothing less than trying to find a way to take down this President. Hysterical allegations of treason and non-hyperbolic statements by pundits, journalists and politicians comparing this summit to Pearl Harbor are beyond divisive, irresponsible and factually incorrect rhetoric. 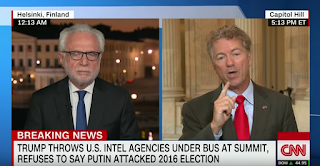 They highlight what even Senator Rand Paul now calls "Trump Derangement Syndrome," a condition whereby people have allowed their hatred of the President to obfuscate reality and fall headlong into embarrassing delusions of conspiratorial grandeur. Former CIA director John Brennan predictably entered the fray on Twitter, saying, "Donald Trump’s press conference performance in Helsinki rises to & exceeds the threshold of 'high crimes & misdemeanors.' 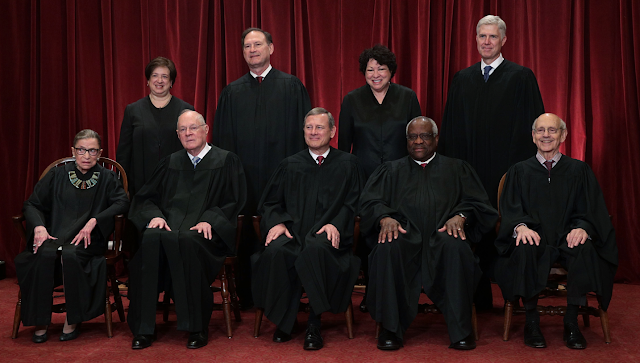 It was nothing short of treasonous." While the idea that meeting a foreign head of state and suspecting the reasons behind an indictment that's rooted in no evidence whatsoever could be treasonous is laughable, more amusing is the notion that anyone should take a career, serial liar like Brennan seriously, particularly when he comments on matters that could result in him being charged and convicted of Federal offenses. 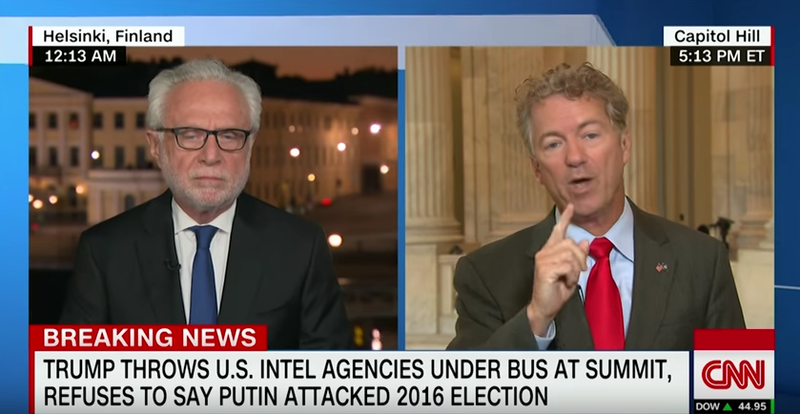 Senator Paul addressed this issue with CNN's Wolf Blitzer this week and specifically highlighted the importance of remembering who was in charge at the inception of the Russia investigation. "It does matter who was in charge of the intelligence. It does matter, because they started this and ginned up this whole thing going after the president saying he committed collusion with Russia. No evidence of that and it continues to go on," Senator Paul said. "Who are the people that started this? James Clapper that lied to the Senate saying they weren't collecting our information and yet they were collecting all of our information and housing it in Utah. John Brennan has now accused the President of treason. This is John Brennan who voted for the communist party ... John Brennan now thinks he's holier than everybody else, but these people had the power to collect every American's information and these are the people that I am concerned used their bias against President Trump and absolutely I am with the President on this. The intelligence community was full of biased people, including Peter Strzok, McCabe and dozens of others." Senator Paul is not alone in his hesitance to blindly accept Brennan's comments. The left-leaning Washington Post wrote an article in 2014 suggesting Obama fire John Brennan for lying about the CIA hacking into Senate Intelligence staff computers. And, just last year it was reported that "Brennan teamed up with British spies and Estonian spies to cripple Trump’s candidacy. He used their phony intelligence as a pretext for a multi-agency investigation into Trump, which led the FBI to probe a computer server connected to Trump Tower and gave cover to Susan Rice, among other Hillary supporters, to spy on Trump and his people." Former government officials aside, even the media has shown it's incredible bias and selective amnesia on foreign policy matters. 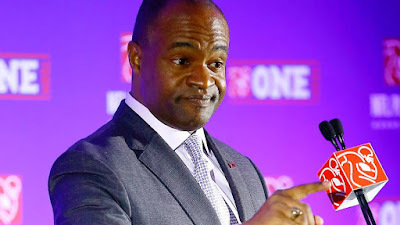 There was no level of vitriol from the MSM in 2012 when President Obama was caught on a hot mic telling Russian President Dmitri Medvedev that he would have "more flexibility" to work with President Putin after his re-election. There was no sharp criticism from MSM when President Obama flew billions of US dollars—in cash—to Iran in one of the most questionable deals in US history. There was no hysteria or accusation of treason when Russians gave millions of dollars to the Clintons prior to then-Secretary of State Hillary Clinton giving Russia of 20% of our uranium stockpile. There was hardly any serious criticism over the Department of Justice's Operation Fast & Furious, where the Obama Administration allowed the transfer of large amounts of guns to Mexican drug cartels — an operation that resulted in a US agent being killed by one of those weapons. "You see, the establishment media are left-wing activists only interested in one thing, and it has nothing to do with informing the public," writes John Nolte. "The power to control people and events is what defines who they are, and when they sense they are losing that power, when someone dares defy them, like all spoiled children who do not get what they want, they do the only thing left to hold on to their sense of control — they stage a public tantrum." The final caveat to all of this should be obvious. The reason the Mueller team dropped the 12 Russian indictments two days before this summit was an attempt to paint President Trump into a corner. It should have been clear that a question about it would arise. President Trump falling into the trap of simply saying he sided with our intelligence community's "assessment" would easily be used against him as evidence that he himself questioned the legitimacy of his own presidency. The Left and the media purposefully blur the binary issues of 1) Russia interfering with our election process to sow discord, and 2) the question of whether or not the President colluded with the Russian government to get elected. It is a distinction they fight daily to obfuscate. And at the Helsinki press conference, they desperately tried to use the President himself to commingle the two issues. Only, it didn't work and they threw another collective temper tantrum as a result. Heading into the midterms we can expect more fireworks, as Congress still needs to produce another spending bill, the Mueller report is expected to be finished and released by October and another Inspector General report detailing possible crimes committed by the Obama administration could be released. But, one thing we should not expect is for the hysterical Left to reign in their trans-national rage campaign and begin to act like mature, civilized adults.